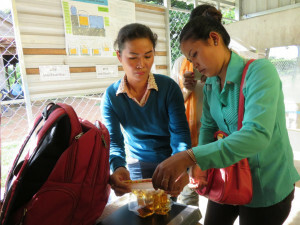 Clear Cambodia’s School WASH Project has installed water filters in 91 schools. In addition to water filters, the project also installs hand washing stations, provides sanitation products and conducts workshops on health and sanitation. Because the 91 schools are in rural, remote locations, they need a convenient, portable method to test raw water sources for E. coli bacteria in order to assess the health risk of water. 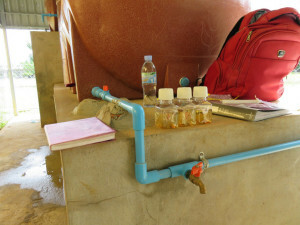 The School WASH Project adopted the Aquagenx Compartment Bag Test (CBT) because it is easy to use with little training and does not require electricity, labs, or expensive, cumbersome equipment that is difficult to deploy in rural areas. In addition to measuring E. coli with the CBT, the project also uses other methods to test for total coliforms, pH and turbidity in sources such as lakes, ponds and wells. Quantitative test results obtained with the CBT Kit reveal raw water sources contain varying levels of E. coli bacteria. Water that is filtered through BioSand filters and water accessed through taps test negative for E. coli bacteria and is safe to drink. 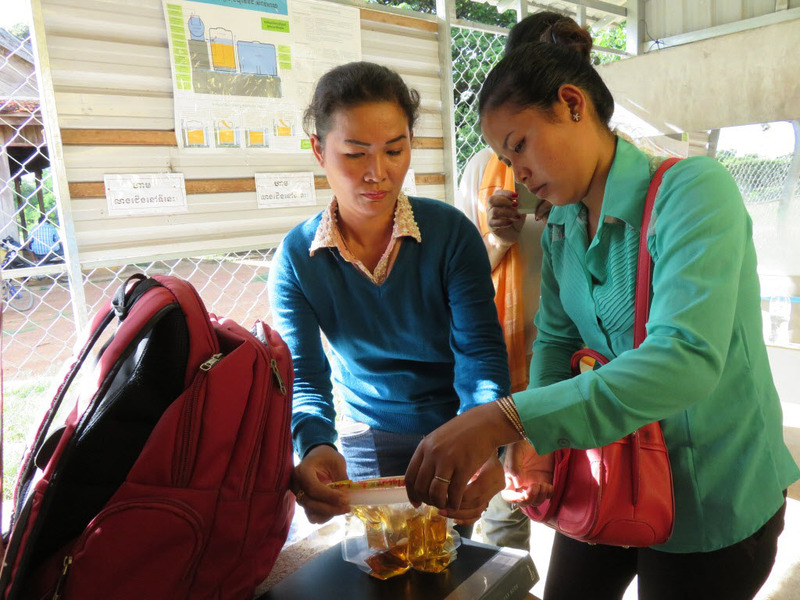 Clear Cambodia reports the CBT’s color-change test results make it simple to score the Most Probable Number of E. coli in 100 mL samples, and they are a powerful visual tool for school communities to adapt good hygiene practices. “Because of its efficiency,” continues Vanny, “the CBT enables our staff to test water on-site rather than having to collect samples to be sent to a lab.